One of the big three automotive companies needed to provide internet web access to their web sites through the use of kiosks set up at the North American Auto Shows and National Auto Dealer conferences throughout the United States. Capricorn Diversified Systems provided network engineers along with computer systems, wide area network connections and support throughout the country to Chrysler at shows and conferences with connectivity to six web sites being hosted in Detroit. The success of this offering was recognized as our staff provided support during international press week. 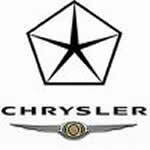 Capricorn received outstanding praise from the Chrysler Auto Show executives.